Camp Nou will be the center of attention on 8 March, when FC Barcelona host PSG in the return leg of the UEFA Champions League last 16. 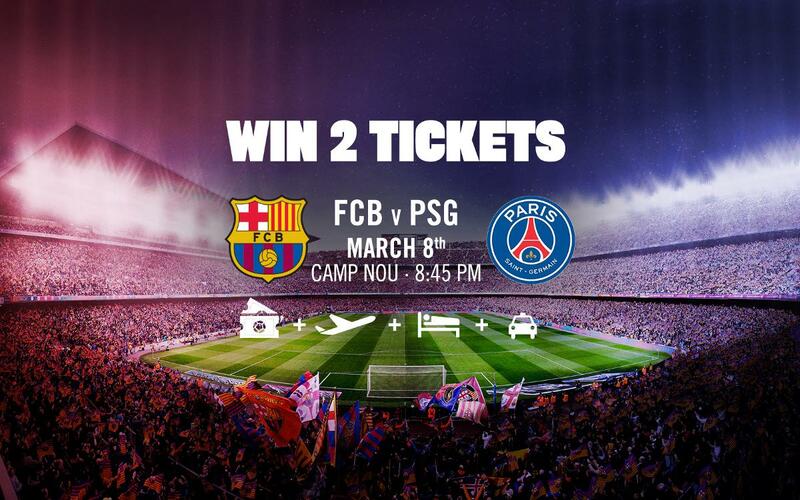 Of the almost 100,000 seats, there will be two reserved for the winner and his/her guest, who will be able to experience the Camp Nou’s unique atmosphere in person, while cheering Barça to victory. The draw will take place on 28 February before a notary. FC Barcelona will then contact the winner before making an announcement on the Club’s official channels.